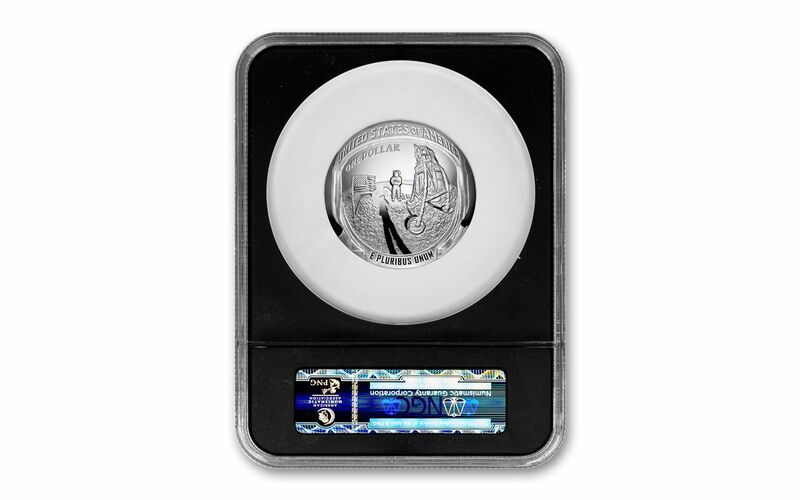 In addition, NGC has certified your 2019-P $1 Apollo 11 50th Anniversary Five-Ounce Silver Proof to be an Early Releases (ER) coin, meaning that it was among the first struck by the mint and was verified within the first 30 days of issue. 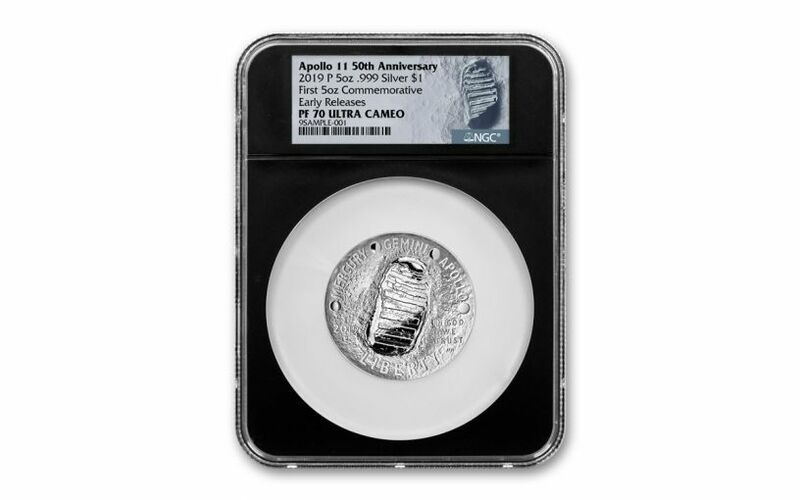 Each coin will come sonically sealed in an acrylic holder with a black display core and an exclusive label that features Neil Armstrong’s footprint on the moon. KEY EARLY RELEASES CERTIFICATION – NGC has certified your 2019-P $1 Apollo 11 50th Anniversary Five-Ounce Silver Proof to be an Early Releases (ER) coin. It will come sonically sealed in an acrylic holder with a black display core and an exclusive moon label.